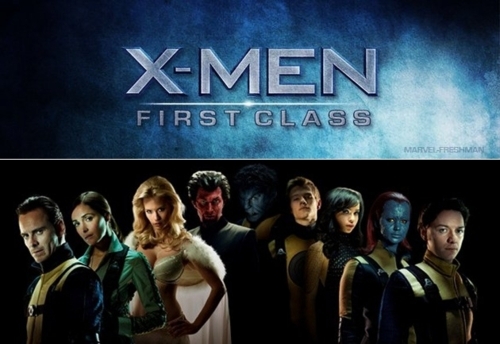 Yesterday, I went with a few of my friends to see “X-Men: First Class.” The reason I was interested in going to see it was that I had read and heard from a number of sources that Professor X and Magneto represented Dr. Martin Luther King, Jr. and Malcolm X, respectively. I thought that was an intriguing argument and after seeing this film, I have to admit that they have a point. The setting of the film takes places during the early years of the Cold War, the era of political, military, technological and economic competition between the United States and Russia, which also coincided with the Civil Rights Movement. While watching the movie, I noticed how Professor X and Magneto had similar characteristics to the early careers of King and X. Just as King, Professor X has a doctorate and he is a charming ladies’ man; he believes in using the minds and achievements of mutants to prove their worth to society and to prove they are better people, which is similar to King’s stance on civil disobedience and non-violence. Professor X says the phrase “mutant and proud,” similar to King saying “black and proud” in this speech. He is for working with government to help his people and believes in integration, as did King. Mystique even tells him that he is not against the world, but instead wants to be a part of it. Like X, Magneto has a parent who is murdered (X’s father was murdered, Magneto’s mother was murdered); he says in the movie that his family does not have a name because their name was taken from them (in this interview, X mentions how African people who were enslaved had their real names stripped from them). From the beginning of the movie, Magneto’s powers are driven by anger and X was labeled as an “angry” figure. Magneto tells Mystique that she should accept herself as she is and X made several speeches about Black people accepting themselves as they are. At the beginning of his career, X was against integration; he believed that the white dominant society would never fully accept Black people as they were no matter what they did, so he wanted separation. Magneto has similar thoughts about mutants. Both figures are seen as the “bad guys” even though it is more complicated than that and they had reasons behind their beliefs. Another aspect I noticed in the film was that both characters had respect for each other even with their differing views; the same went for King and X in real life. Michael Fassbender, who plays Magneto, spoke about the inspiration of these two for the movie in this interview. So, it is very clear that the X-Men film is based off of the Civil Right Movement, which makes sense since it is a story about mutants wanting to be accepted by a society that treats them as if they are freaks due to their ignorance. Firstly, The MUTANTS need to be enslaved for over 250 years Secondly, live as second class citizens for another 80-100 years before Professor X and Magneto would come on the scene. Once they both arrive & inspire the MUTANT masses to seek freedom, their fates would be sealed. Thirdly, a HUMAN GOVERNMENT organization like the FBI would be created to assassinate both Professor X and Magneto, then the FBI-like group would form a COINTELPRO to elimnate and neutralize the rest of the MUTANT REVOLUTIONARY PANTHERS. Fourth, once the MUTANT community is subdued, the government entity then would PUT SPECIAL MUTANT CRACK ROCKS in the community to further decimate the community & use those profits from the sales to fund their imperial excursions in the universe to subjegate other MORE ALIEN MUTANTS. Once that domestic MUTANT community is in shabbles, living in urban dystopian tenements, the humans would wonder innocently: what is wrong with that communtiy? Why can’t they pull themselves up from their boot straps? Are they inherently inferior? True, good points! But remember this film was made by mainstream white people. So, of course they will get inspiration from and focus on some of the most famous black people, but not really from the rest of us (tokenism), which explains why the only black man in the film is killed of early in the film. And isn’t it weird that his name is Darwin because of his ability to adapt yet he still becomes extinct. Also, the two characters were only vaguely based on these two figures, so of course they would not go into depth into black history. Again, this was set during the Civil Rights movement, yet barely any black people are in the film.